Contains fine wood char for long burn time. 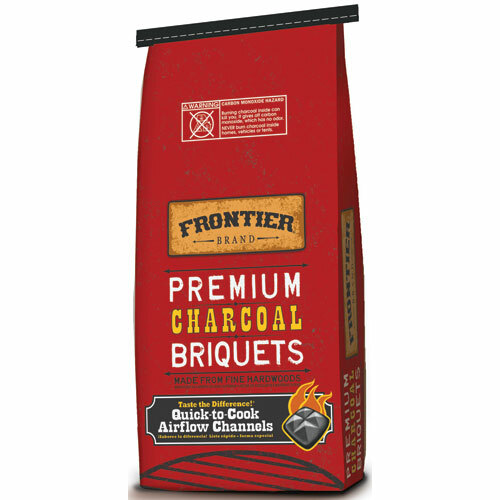 Coals ash quickly for ready-to-cook convenience. Premium quality – made in the U.S.A. 15.4 lb. 22-inch diameter porcelain-enameled bowl and lid with a cooking area of 363 square inch. Plated steel hinged cooking grate. Aluminized steel One-Touch cleaning system with removable, high-capacity, aluminum ash catcher. Rust-resistant aluminum damper and two glass-reinforced nylon handles with tool hooks. Assembled dimensions are 38.5-inch by 27-inch by 22.5-inch. It has a 3-Sided Windscreen to shield some of the breezes coming your way and just one twenty-pound tank will keep your stove going for 15 hours. 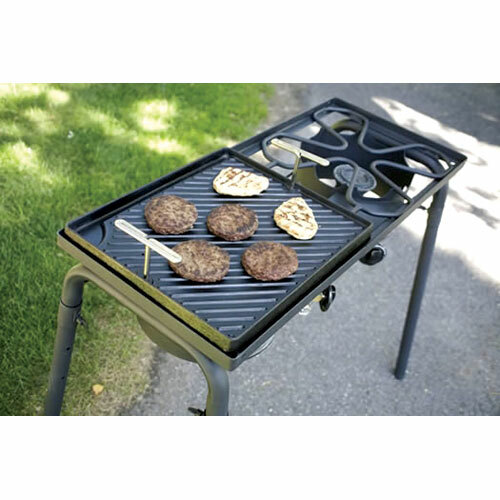 Cook up a meal for you and some friends or family and enjoy the outdoors with a Camp Chef Explorer 2 Burner Stove. 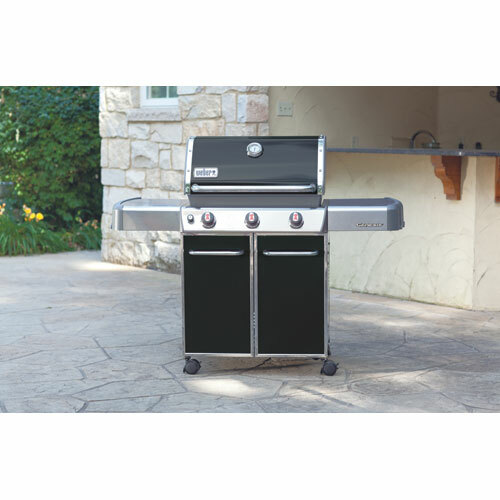 38,000-BTU gas grill. 637 Sq. In. cooking/warming space. Front-mounted control panel. 3 stainless-steel burners. Individual electronic ignition system. Porcelain-enameled cast-iron cooking grates. Flavorizer bars. Built-in thermometer. 6 tool hooks. Requires an LP tank (not included). 5-year limited warranty. 30" x 60" x 64.5". 536 sq. in. 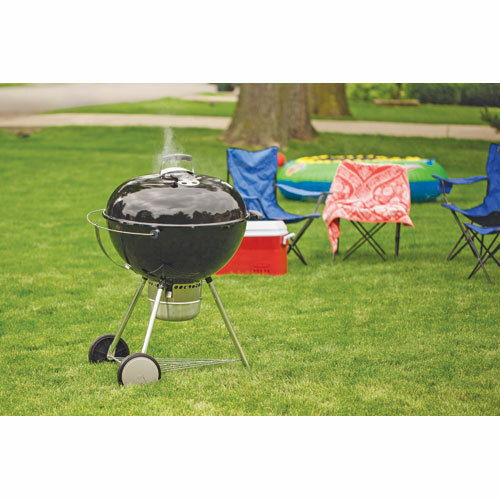 total cooking area provides ample grilling space. 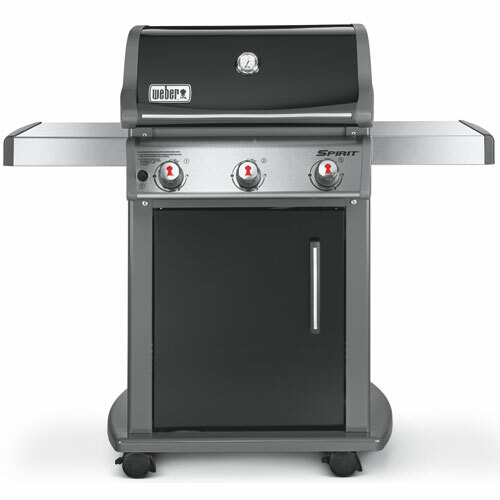 3 stainless steel burners are durable. 36,000 BTUs . Porcelain-enameled, steel cooking grates. Flavorizer bars. Stainless steel work surface is easy to clean. 2 heavy duty front locking swivel casters. 2 heavy duty back swivel casters. Enclosed cart with black painted doors and black painted side and rear panels. Electronic Crossover ignition system. Includes tool hooks, a catch pan and a warming rack. 529 sq. in. of total cooking area offers plenty of grilling space, 424 sq. in. of primary cooking area and 105 sq. in. of warming rack area. 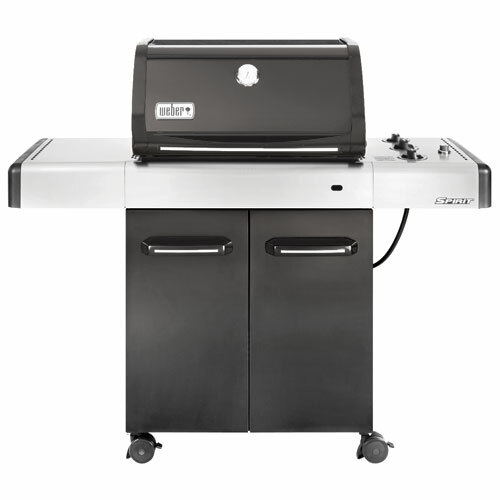 3 stainless steel burners with 32,000 BTU-per-hour input are durable and deliver powerful heat and performance.